Changing an organization’s culture is considered one of the most difficult challenges for leaders, and those with experience will confirm that it can be a massive undertaking. Whatever challenges the organization is facing—low morale among staff, bad behavior at the senior ranks, unhealthy team culture, employee burnout or poor performance, lack of innovation—the situation requires attention and implementation of corrective strategies to position the company for sustainable improvement and success. If left unexamined, these problems inevitably worsen and cut off the organization’s chances for recovery. Change agents, whether internal or external, provide guidance and expertise and help leadership teams understand the challenge at hand, assess next steps, and collaborate on a clear path forward. 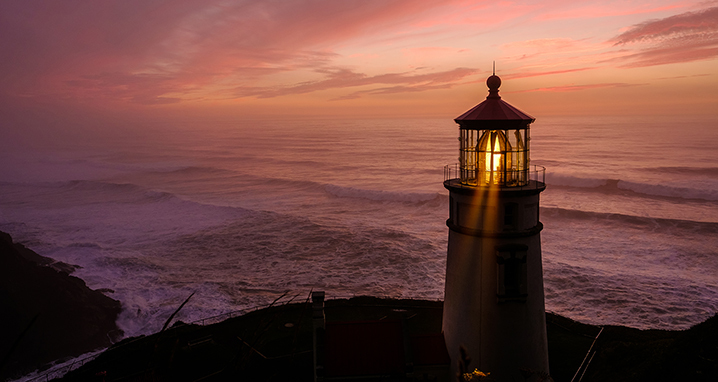 In the casual setting of a recent Ultimate Culture Conference, skilled change agents shared the following success stories on culture transformation. Covering diverse industries such as architecture, construction, consumables (food), and healthcare, their experiences are worth examining for useful insights to apply in your own culture journey. Dallas, Texas-based architectural firm HKS Architects creates places that enhance the human experience, like the US Bank Stadium, home of the 2018 Super Bowl. After collecting employee satisfaction data for 10 consecutive years, leadership sought to better understand the current culture and the roadblocks that were inhibiting employees from taking the most successful actions. A culture survey was initiated firm-wide using the Organizational Culture Inventory® (OCI®) from Human Synergistics.1 Well-coordinated company-wide discussions, covering 20 offices across the globe, were conducted to review cultural attributes and the climates and prevailing behaviors of the various offices. Office leadership engaged staff in goal setting and planning. A new performance development system, ELEVATE, was implemented; not linked to compensation, the system involves managers meeting with team members three times each year. Change agent Cheryl Kitchner led ongoing discussions to facilitate participation and learning; vocal support from senior leadership is visible. HKS reassessed its culture in 2016 using the OCI and added an assessment of the work climate with the complementary Organizational Effectiveness Inventory® (OEI).2 The retest, showing an impressive increase in survey participation, confirmed remarkable reductions in Passive/Defensive and Aggressive/Defensive styles and vital improvements along the Constructive styles. Key changes included stronger commitment to and focus on personal and professional development. Implementation of a creative and engaging leadership development program, Root Compass. “Responsible Leadership Workshop” was customized based on culture assessment results and launched for use with all managers. Goal: 100 people trained by end of 2018. Enhancement of the ELEVATE platform is further enhanced to include peer reviews for project teams and benchmarking by role. Roll-out of personal assessments to identify individual styles and strengths. Goal: 600 people trained by end of 2018. As the largest health system in Illinois, Advocate’s challenge was to increase and stabilize engagement, focus on culture change, and strengthen relations within a high-profile, semi-autonomous unit that struggled with negative team dynamics, unproductive work relations, and entrenched passive-aggressive behavior. Focusing more on culture than climate, emphasis was placed on helping leaders and teams make the connection between outcomes and their actions and behaviors. Simultaneous “teach & learns” were delivered at all organizational levels with a keen focus on achieving ideal behavioral styles and impact. As leaders gained awareness of their behaviors and their impact on others, Advocate achieved a dramatic shift in culture, attained high levels of engagement, and exceeded financial goals. The impressive turnaround results realized by the focal unit have subsequently been used to motivate, guide, and transform other Advocate teams and departments. Susan Dumke, Johnsonville’s Research & Development Senior Project Manager, partnered with the University of Wisconsin-Madison CPED to coordinate a pilot culture study led by Lisa Yaffe, Program Director for Executive Leadership. A pilot study confirmed that the R&D employees maintained a strong Constructive subculture that helped the team stay aligned, focused, and to work together and grow. The process also confirmed that the OCI could be leveraged for assessing and developing the Johnsonville culture more broadly. Recognize how your current culture is helping and hindering progress toward key strategic priorities. Use a valid and reliable survey to gain a common language for and measure of both culture and climate. Understand culture and climate as a foundation for adjusting strategies or plans to improve results. Combine culture assessment and development efforts with leadership assessment and development. The journey never ends. Engage leadership and all team members in additional phases of improvement as progress is measured and confirmed. The guidance and expertise of a change agent can be invaluable to your change effort. Stay tuned for new success stories in part two of this series. Meanwhile, I invite your comments on our Twitter and LinkedIn channels. 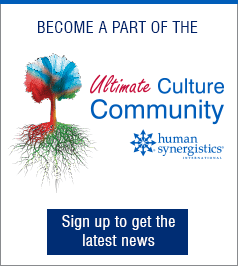 For more insights on culture and how to communicate a change process for optimum acceptance, consider joining Human Synergistics and the University of Wisconsin-Madison at the 1st Regional Ultimate Culture Conference. You’ll participate in thought-provoking presentations, interactive sessions, and dynamic networking to learn more about culture. You'll also hear from local leaders and consultants who are collaborating with leadership teams to change the cultures of their organizations, including Marti Wronski of the Milwaukee Brewers and Angie Zeigler of the Oshkosh Corporation. Early-Bird Registration ends August 1 and space is limited—reserve your seat today! Click for Ultimate Culture Conference details. 1 Cooke, R. A. & Lafferty J. C. (1987). Organizational Culture Inventory®. Plymouth, MI: Human Synergistics International. 2 Cooke, R. A. (1995). Organizational Effectiveness Inventory®. Arlington Heights, IL: Human Synergistics/Center for Applied Research. 3 Cooke, R. A. (1996). Leadership/Impact®. Plymouth, MI: Human Synergistics.